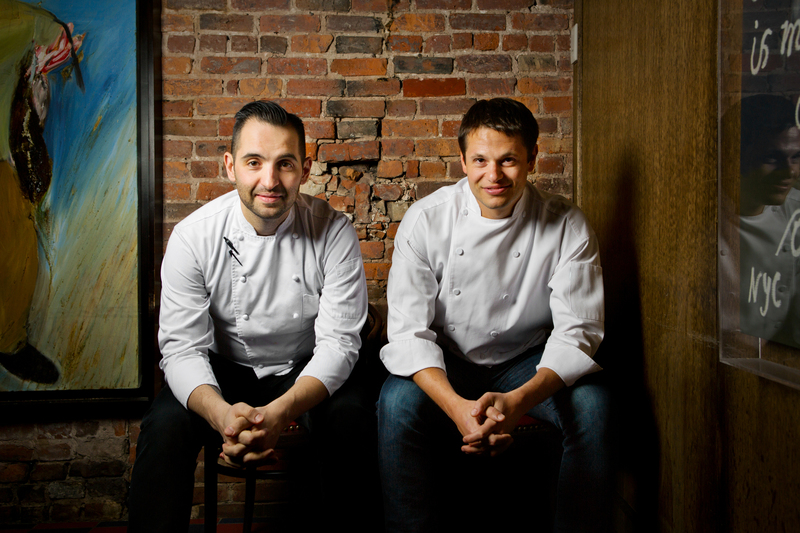 Hyde Park, NY – When the 2017 Eater Awards for New York were announced this week, two alumni from The Culinary Institute of America stood at the helm of the city’s Restaurant of the Year. CIA grads Mario Carbone and Rich Torrisi, along with partner Jeff Zalaznick, earned the coveted award for The Grill, their popular Manhattan-based venue housed in the former Four Seasons space. Former CIA classmates Carbone and Torrisi joined Zalaznick in 2010 to form acclaimed restaurant and hospitality company Major Food Group, whose nine concepts include The Grill and a pair of Michelin-starred restaurants, Carbone and ZZ’s Clam Bar in New York. Eater’s 2017 Readers’ Choice Winner for All-Day Restaurant of the Year was Daily Provisions, whose chef is CIA graduate Carmen Quagliata. Daily Provisions is a part of Danny Meyer’s world-renowned Union Square Hospitality Group.